I agree with Laura Ingraham and Pete Hegseth. 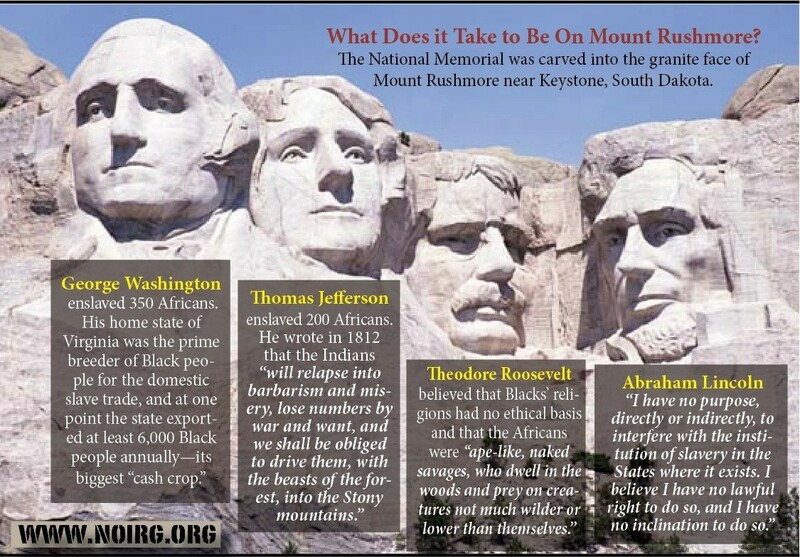 It is only a matter of time before the left comes for Monticello, or Mount Vernon, or indeed Mount Rushmore. Never content with their destructiveness, wait until they learn the history of Mount Rushmore. Not even 1,000 Confederate statues would draw the same outrage. The 60-foot high sculpture in South Dakota — depicting Presidents Washington, Jefferson, T. Roosevelt, and Lincoln — was sculpted by a Ku Klux Klan member. Prepare for the onslaught. How befitting then, that the totalitarian left should come for the Shrine of Democracy next. After all, the Nation of Islam has already decried the great American monument, and the uncomfortable truths about its sculptor will add fuel to the fire for the anti-conservationist minded. 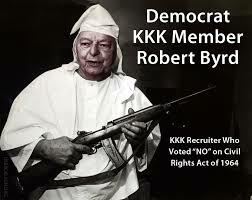 Writer Alex Heard revealed in the New Republic some correspondence between Borglum and then-KKK Grand Dragon D.C. Stephenson, who cut his political teeth in the Socialist Party, before joining the Democrats, then in later life, defecting to the Republican Party. In other words, the left has already been laying the groundwork for an assault on this iconic monument. What better way to do so, as Mr. Way does, than by calling into question the track records of the men it depicts? “George Washington enslaved 350 Africans. His home state of Virginia was the prime breeder of Black people for the domestic slave trade, and at one point the state exported at least 6,000 Black people annually — its biggest ‘cash crop’. “Theodore Roosevelt believed that Blacks’ religions had no ethical basis and that the Africans were ‘ape-like, naked savages who dwell in the woods and prey on creatures not much wilder or lower than themselves. There is much to be said on all these issues, for instance, in the very same letter cited by the Nation of Islam, Jefferson wrote of his “attachment and commiseration” for “Indians”. He recalled to John Adams of Outassete, “the warrior and orator of the Cherokees”, that “His sounding voice, distinct articulation, animated actions, and the solemn silence of his people at their several fires, filled me with awe and veneration”, and explained his defensive posture, rather than the aggressive nature implied by the aforementioned quote: “The possession of that country secures our women and children for ever from the tomahawk and scalping knife”. As much as I wish the revisionist, half-baked “history” of these men and the monuments to them was simply on the fringes of the internet, it has even begun to penetrate American classrooms. Fox News reported in 2014 that the mother of an eight-year-old child found “a handout from the Nation of Islam that portrayed the presidents on Mount Rushmore as being racists”. 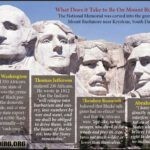 In 2015, the hard-left website Daily Kos published an article about “sanitized” American history, pointing to Stone Mountain and Mount Rushmore as monuments built by a KKK member. But their own sanitization is clear for most with a working knowledge of American history to see. Klan membership was around 5 million nationwide in the 1920s when construction began on Rushmore. This meant about three in 20 eligible people in the United States were members of the KKK. Can you guess which political party was most heavily affiliated with the Klan? The Democrats, of course. In fact there were so many Klansmen in attendance at the New York-based convention that the whole episode came to be known as “Klanbake“, and descended into a farce the likes of which had never been seen before in U.S. political history. It took the party 103 ballots to settle on a presidential candidate, and they ran extraordinarily close to nominating the Klan’s favoured candidate William McAdoo, who never rejected the KKK’s support. No mention of this, of course, by any of those who have already attempted to bring the history of the monument into question. No apologies either, from the Democrats who continue to support the tearing down of these statues and symbols, for the fact that their own party fostered and incubated a lot of the views they now claim to stand against. These are the excuses deployed by the left. Nothing excuses older history as far as their foot soldiers are concerned. But these are their excuses. 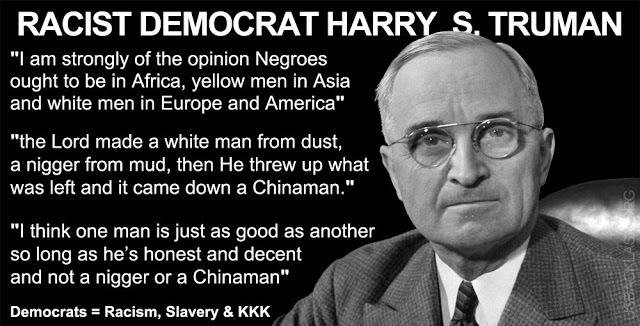 It is worth recalling that while many think the Democrat obsession with race ended in the 1930s and 40s, it did in fact get arguably worse: underground. Doesn’t this just go perfectly hand-in-hand with Democrat duplicity? The history of Planned Parenthood, for instance, whose founder even gave a talk to a KKK women’s branch. We’ve been here before. At least, other human beings around the world have. I’m not talking about those who have cast off oppression who, in the fervor of celebration, pull down the likenesses of Saddam Hussein or similar. I’m talking about the fascists within Islamic extremist movements who want to obliterate the history of the areas they conquer. I’m talking about the French revolutionaries who sought to purge their nation’s history. These things are usually a prelude to the purging of ideas, and eventually people too. It follows that such attitudes — the “cultural appropriation” of the joy of those freed from legitimate tyranny — would lead to a country more divided than united. But realistically, if the left wants to continue tearing down America’s history — no matter how ugly, especially when uncontextualized — then there is one major institution they absolutely must also destroy in order to be morally, historically, and intellectually consistent: the Democratic Party of the United States. 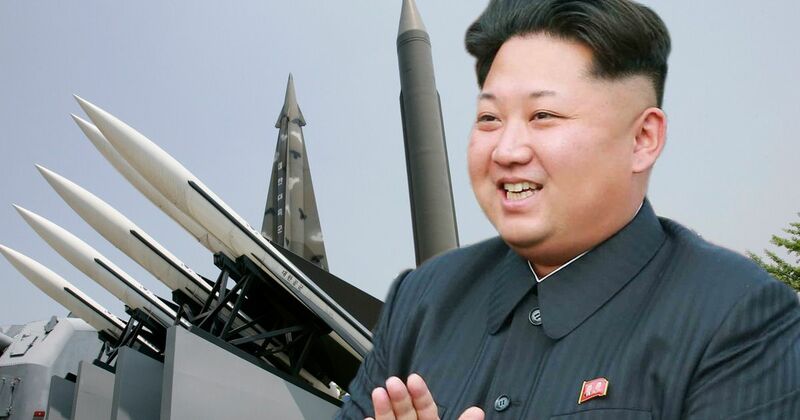 Is Kim Jong Responsible for one of the Biggest Bank Heist in History?! The man behind the biggest bank heist in history may have been Kim Jong Un. Federal prosecutors are preparing to finger North Korea for orchestrating the theft of $81 million from the Bangladesh central bank’s account at the Federal Reserve Bank of New York last year, according to a report. The Justice Department is zeroing in on Chinese thieves under the direction of North Korea, with charges that they hacked Bangladesh’s central bank and swiped millions from its account held at the New York Fed, according to the Wall Street Journal. The money was then transferred to banks in the Philippines and laundered through casinos, according to the reported allegations. While some of it has been recovered, much of it is still lost to prosecutors. The hackers reportedly pulled off the heist by exploiting shoddy controls at the Bangladesh bank, the New York Fed and SWIFT, a money-transferring system that has come under attack by hackers the world over. It’s unclear whether the Justice Department will file charges against North Korean officials, according to the WSJ report. Spokepersons for Justice and the New York Fed didn’t return requests for comment.